Sense8 Finale to Stream in June | Nerd Much? 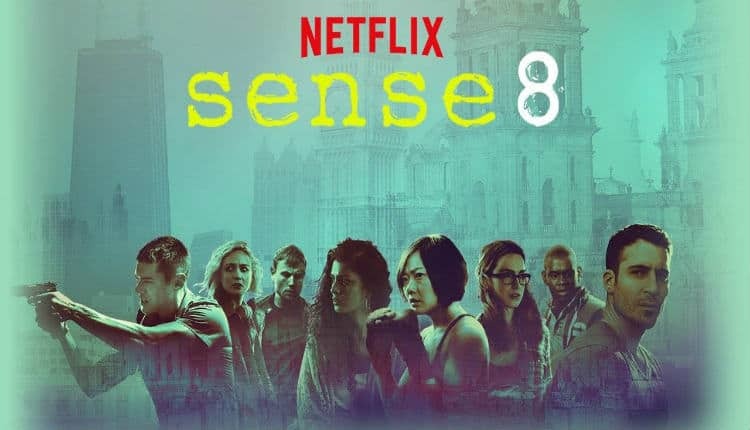 Netflix has announced what Sense8 fans around the world have been waiting for. The date of the show’s upcoming series finale special. The series, created by Lana and Lily Wachowski (The Matrix trilogy, Cloud Atlas), features an ensemble cast which portrays eight strangers from many walks of life from many different parts of the world. The octet suddenly become “sensates”, or people who are emotionally and mentally connected. 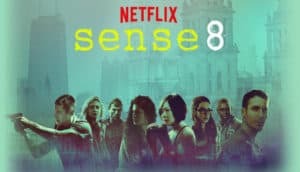 Sense8 originally premiered on Netflix in June 2015. Season 1 consisted of 12 episodes. Season 2 of Sense8 then debuted with a Christmas special in December 2016. The show proper then returned in May 2017 for an additional 11 episodes. Following the May premiere of Season 2, the series was canceled by Netflix in June of 2017 due to poor viewership numbers not meeting its substantial production budget. Episodes of Season 2 reportedly cost $9 million each to produce. However, the dedicated fan base to the series cried foul – and Netflix heard them. Netflix decided to allow the Wachowski’s to close out their project with a proper finale. The upcoming two hour finale is set to debut on Netflix on June 8th and is titled “Amor Vincit Omnia”. It’s directed by Lana Wachowski and is written by the trio of Lana Wachowski, David Mitchell and Aleksandar Hemon. It’s possible that June’s finale may not actually be the end of the Sense8 story though. During a Facebook Live chat with Lana Wachowski and the cast of the show some time ago, the series’ creator stated that she expected the show’s fans to drive continual interest and bring new fans to the series. Wachowski’s enthusiastic hope was that the overall fan base could continue to grow, opening the door for the show’s continuation. She then joked that she intended to write the entire third season of the show in the event that this comes to fruition. But more now, let’s just be thankful the series is poised for a proper conclusion.